Rebates on zBoost YX510, YX500, YX400-P and YX230 Repeater Kits! We're also offering special discounts on our single band zBoost amplifiers. If your carrier operates on a single band you can use the Cellular 800/850 mhz band or the PCS 1900 mhz band you can save with our Wi Ex zBoost YX500-CEL or YX500-PCS repeater kits. For a limited time only, we're offering a $25 mail-in rebate on each of these systems! Everything necessary to improve the cellular signal in an area up to 2500 sq. ft. is included. If you are in need of a mobile repeater you can save $25 with a rebate on our Wi-Ex zBoost YX230 in vehicle kit! $25 rebate with the purchase of a zBoost YX510 - Buy Now! $25 rebate with the purchase of a zBoost YX500-CEL - Buy Now! $25 rebate with the purchase of a zBoost YX500-PCS - Buy Now! $25 rebate with the purchase of a zBoost YX230 – Buy Now! $50 rebate with the purchase of a zBoost ONE YX400-P – Buy Now! 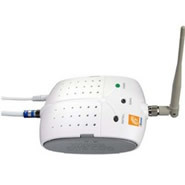 The YX400-P is only compatible with the MetroPCS and Sprint Networks. The $50 rebate form can be downloaded on the YX400-P page. Purchase must be from Repeaterstore.com only, not a third party sponsor or partner, between 2/1/10 and 2/16/10. Request must be postmarked by 3/16/10. The $25 rebate form can be downloaded from each qualifying item page. Fill out the form completely. Incomplete forms will not be accepted. Mail this form with a copy of your sales receipt and the original UPC label from the product packaging directly to Wi-Ex, their address is on the $25 rebate form.